Revealed: Did Google Fiber UK talks 'fail' because of Sky fear? Google has its eyes set on the UK and wants to build a fiber-optic backend in the UK that could change the broadband landscape. The search giant has, for a long time, publicly said that it would not build a fiber infrastructure outside the US. Behind the scenes, however, it's not looking that way. 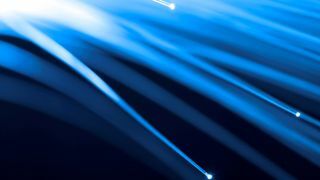 The Telegraph reports that the company was in talks for some time with British fiber specialist CityFibre but talks broke down after the latter pulled out. The risk of jeopardising an ongoing project with BSkyB and Talktalk was cited as the reason why the talks faltered. Youtube as a Sky rival? CityFibre feared that BSkyB would pull out as it sees Google as a future rival in the lucrative pay-TV market. A super fast 1Gbps network would bring that threat even nearer to fruition and Google is already working on 10Gbps services already. The company has pledged to invest £30 million to create 20 Gigabit cities across the UK with services reaching speeds of up to 1Gbps rolled out to moer than one million locations. Google confirmed to the newspaper that it had held talks with CityFibre before adding that a British version of Google's Fiber is unlikely to happen anytime soon.